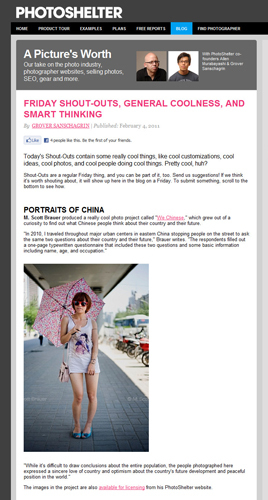 The launch of We Chinese has gone well over the past week. There’s been little press, word-of-mouth on twitter, facebook, and elsewhere has pushed the project to around 15,000 pageviews. 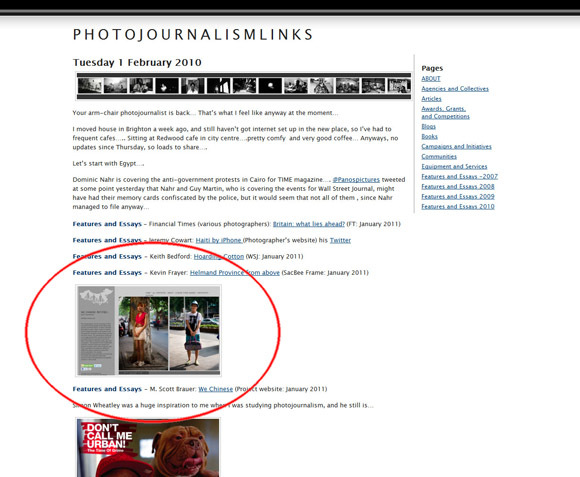 There have been a few mentions on relatively big blogs, I’m proud to report, last week: Photoshelter, Photojournalism Links, and Metafilter. Thanks to Grover, Mikko, and smoke, for the support!